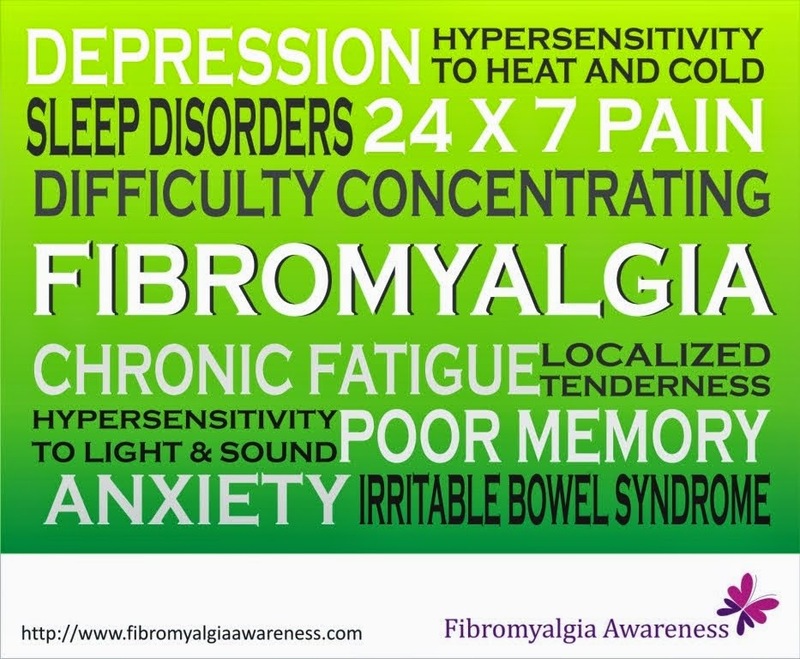 People with Fibromyalgia experience pain in at least 11 of the 18 tender points shown in the image above. I know this diagram is standard one, available in all FMS web pages. But its still not generic, because its still incomplete for me. 2. and most important ankle joint too. 3. N hip joints front and back region too. 4. Also my complete left thigh has become tender. My lap can't handle the weight of my bag, my hands. I am glad that at least its not sensitive to touch like my back is. 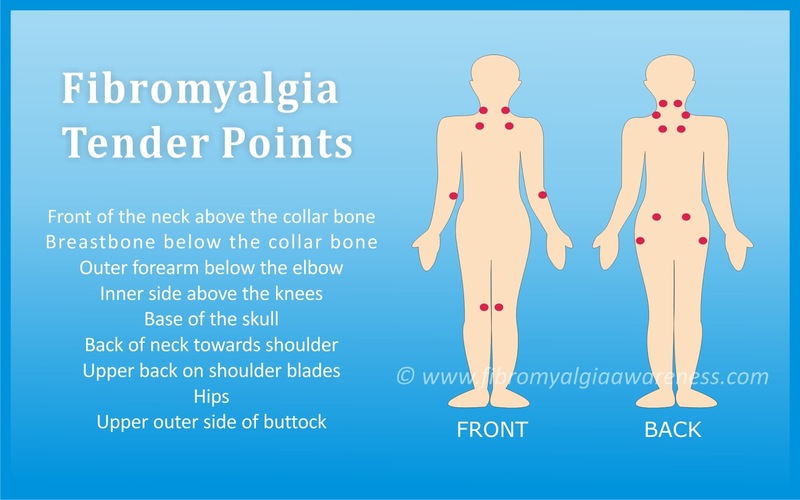 Administrator can think of completing this diagram being the only awareness spreading blog for FMS. Basically the region of your body which is exposed to pressure (your palms resting on keyboard table,hands resting on your thighs while sitting, back, hip, knee, ankle joint ) is prone to become tender in this syndrome. Sadhak, I can completely relate to what you are saying. Lifting a bag, holding a phone for long... these tender points are acting up at many places. However, these diagrams only form a part of the diagnosis. They say that 11 of these defined points are tender. 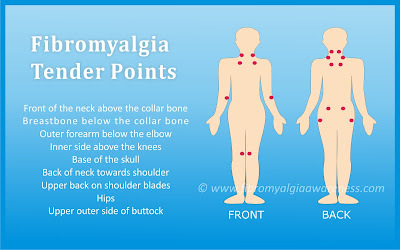 Other points may be but for diagnosis, these points are the ones definitely considered. I am not a doctor, but from all my research this is what I understand. Fibro is an ache that never leaves you. Might go into hiding but always there waiting to pounce. Hopefully they will find a cure soon. In the meantime don't give up trying fibro warriors. Never give up giving up.